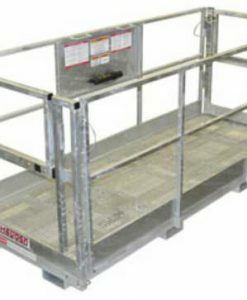 OSHA approved work platforms availalble in a variety of sizes from Equipmentland.com. 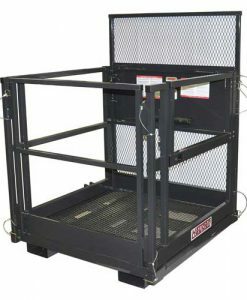 Whether it is a work platform, aerial man lift, man basket, or a scissors lift, there is an attachment for you. – Galvanized Finish will keep the platform looking new for many years. – Extra heavy oor and toe kicks. – Collapsible sides for easy transportation. – Standard pocket size 2 1/2” x7 1/2” – One inward swinging Door. – *Some Quick Attach mounts require additional charge. 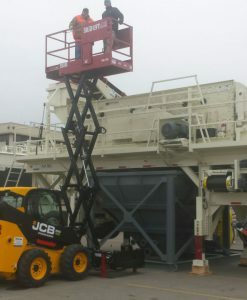 – *Specify make and model of the Telehandler when ordering. Equipmentland no longer offers this equipment.